Scott Juntti, the William J. Higgins Assistant Professor of Biology at the University of Maryland, received one of 11 new awards, totaling approximately $10 million, from the National Science Foundation's (NSF) Enabling Discovery through Genomic Tools (EDGE) program. The goal of the program, administered by NSF's Division of Integrative Organismal Systems within the Directorate for Biological Sciences, is to develop genomic tools that allow biologists to test how genes affect an organism's physical and functional characteristics. Juntti's project focuses on cichlid fishes, a family of more than 2,000 species that are genetically similar but vary widely in their anatomy and behavior. For example, cichlids demonstrate a wide range of feeding behaviors, shelter constructions and social behaviors. In addition, female cichlids exhibit active mate selection, which is likely a major driver of sexual selection and the formation of new species. With his EDGE funding, Juntti plans to develop new tools that will provide insights into the mechanisms by which genetic changes lead to the evolution of new cichlid species with different traits. "Cichlids are an ideal model system for mapping genes to traits because of their wide variety of shapes, sizes, colors and behaviors, combined with their rapid evolution," Juntti said. "However, we don't have enough tools to validate the genes predicted to control traits in these fish." Biologists use several "gold standard" tests to demonstrate the function of a genetic change in other organisms. These tests have proven challenging in nearly all species until the recent development of gene editing technologies such as CRISPR/Cas. "Understanding the incredible diversity in nature is becoming more feasible. Techniques like CRISPR/Cas and transgenesis have been game changers for biologists," Juntti said. "For years, geneticists studying non-traditional model animals have had to be content with correlations between genes and observable characteristics known as phenotypes. Now, we can directly test our predictions by modifying the genome." 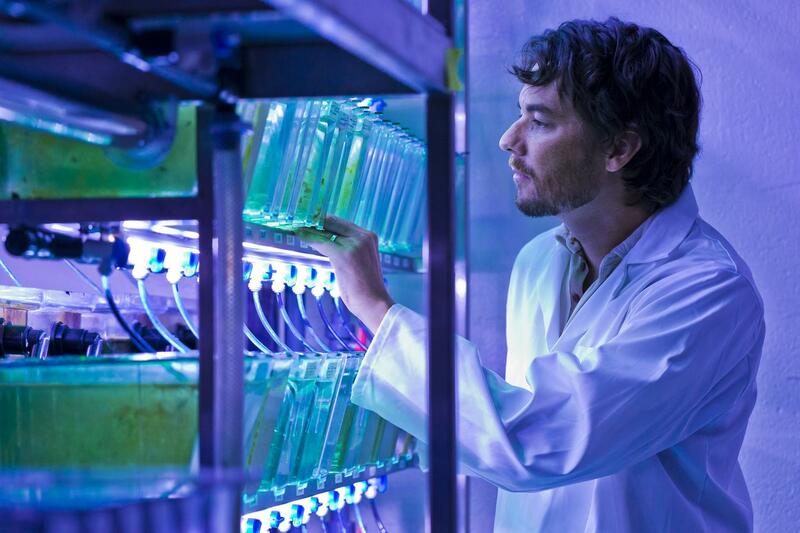 Juntti plans to use his new NSF funding to extend gene editing into new species of cichlids. One major hurdle in the development of these techniques is how to regularly obtain large numbers of fertilized eggs. To address this issue, Juntti plans to test the ability of hormones to induce breeding behavior in cichlids, leading to more reliable collection of fertilized eggs. "Enhancing cichlid spawning will provide us with the hundreds of eggs we need to improve our ability to swap DNA sequences between cichlids. This is crucial for directly testing the connection between genetic changes and traits, particularly in some cichlid species that don't breed well in the lab," Juntti said. "These technologies will also help us narrow down the cell type responsible for a given gene's effect." Ultimately, the powerful tools Juntti develops will be valuable to many researchers who utilize the cichlid fish model to study everything from craniofacial development to social behavior to evolution. "The EDGE awards are very exciting because they are transformative," said Joanne Tornow, acting assistant director for the NSF's Directorate of Biological Sciences. "These researchers are creating innovative tools that will advance efforts to identify links between genes and complex organismal-level characteristics in a wide range of species." EDGE awards cover a diverse range of organisms, from fungi to plants and animals. Each new project will move the scientific community closer to being able to predict an organism's phenotypes by developing enhanced genomic tools and infrastructure. This research will contribute to elucidating the sets of rules that predict an organism's phenotype, helping to address one of NSF's 10 Big Ideas, "Understanding the Rules of Life."